Here at GetVoIP.com, it’s rare that we use any sort of threatening or impolite language. But, in this case, I hope you forgive a dash of hyperbole: Your business is at risk if you don’t get on board with UCC. UCC is the future, and if your business doesn’t look toward the future, you will be left in the past. It’s fair to say that the nature of work is changing. We are more connected, and business moves faster all the time. By unifying your business, you will save precious time, make more money, keep your employees and managers in the loop, and automate parts of your business. If you don’t, you might as well buy a boombox, a typewriter, and drink some Tab. Unified Communications and Collaboration is the integration of several different real-time communication media, including phone/voicemail, IM/Chat, SMS/txt, email, fax/virtual-fax, video, multiple address books, and even popular web sites, such as Facebook, LinkedIn and Saleforce.com. Without UCC, these are different media that are clumsily hobbled together, or a bunch of different windows cluttering and slowing down your computer. With UCC, all of these disparate programs and platforms are brought together in one easy-to-use desktop or cloud-based platform. There is legitimate concern about the cost of upgrading a system. A full system can require high CapEx, can take a long time to be deployed, and there is the time and cost of training employees. 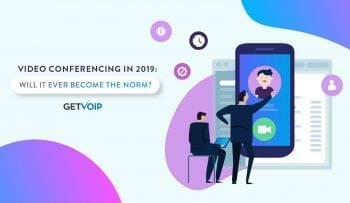 It should come a little surprise that the smallest, newest, successful businesses are adopting VoIP the most rapidly. But established businesses have a lot to gain by adopting VoIP and UCC. There is an anecdote about six managers, each who get paid $100 an hour, having an hour-long meeting deciding whether or not to buy a new $600 copier. The benefits of the new copier are obvious, so why have a meeting? Instead of having a meeting to determine whether or not to adopt UCC, the meeting should instead be about which providers to get quotes from. Unified Communications and Collaborations is completely scalable, meaning that it can grow with your business. You can acquire UCC solutions on a monthly, annual, or even a pay-per-use model. This is a stark contrast to traditional PBX systems, which are typically either underutilized or overtaxed. You get what you need, and add more as your business grows. Business surveys have shown that at about half of organizations, coworkers can’t reach each other on the first try. What that means is that, if you want to reach Bob, you may call Bob’s cell phone—that’s one try. But if Bob left his phone on silent, he won’t hear it, so you’ll leave a message. Before you know it, you’ve spent ten minutes leaving Bob messages on his cell phone, his work email, and his work voice mail. Over 90% of companies surveyed admitted that they missed a deadline or a sale because they couldn’t get in touch with a key decision maker in time. Believe me when I say that not adopting UCC is costing you. Just to show a simple example of how that situation could have been better handled, let’s say you had a UCC platform instead. You open up the right window, scroll to Bob’s info box, and you see he left a message saying he’s in a meeting until 3:00. So you know, in under five seconds, that Bob is going to be too busy to deal with you until at least 3:30. But James is marked “available,” so you send an IM to James asking if he has a minute to speak with you. You click on James’s phone icon and your phone calls you and James at the same time. You just saved yourself the ten minutes you would have wasted calling Bob by going straight to James. If Bob had been available, you could have called one number and it would have called several phones at once, so you could reach him on the first try. These quick business decisions can mean the difference between being a success story and a failed venture. When you receive a phone call from a big client, what’s the first thing you do? Chances are, it is to call up your account information on that client. You probably don’t have that information memorized, and it’ll take a minute or two to open up the program, and call up the information. The entire time, your client is talking about his problem, and when I say “problem,” I mean “business opportunity for you.” What if there were a way that as soon as the phone rings, your computer was populated with information about the caller, including your address book information about them, their Facebook account, and even a Google search of their name? There already is a way, and it’s called UCC. Having that crucial information one second before you need it can affect how confident you are on the phone, and that confidence translates directly to getting the results you want. Studies have shown that nearly 70% of clients rate “perceived indifference” as a primary reason to stop doing business with a company. If you’re getting all this work done, will you then have to be on call 24 hours a day, and never get any downtime? Will you have time to relax and enjoy spending time with your family? UCC can be the difference between nervously checking your email every hour, and being able to relax and refresh yourself. UCC means that all the parts are in place. It means automated call forwarding to colleagues or voicemail. It means that the most important clients can get through directly to you, but every other call is taken care of by your colleagues. It means everyone else has access to the same tools and information you do, so your coworkers can seamlessly pick up where you leave off. It means you can forget about work when you go home and finally relax. I’d say the choice is yours, but really, it isn’t. As the saying goes, if you don’t shake your customer’s hand, someone else will. The business world is moving in the direction of Unified Communications and Collaboration by way of Voice over Internet Protocol. It’s time to take a serious look at how much you have to gain by adopting UCC, and how much you have to lose if you don’t.